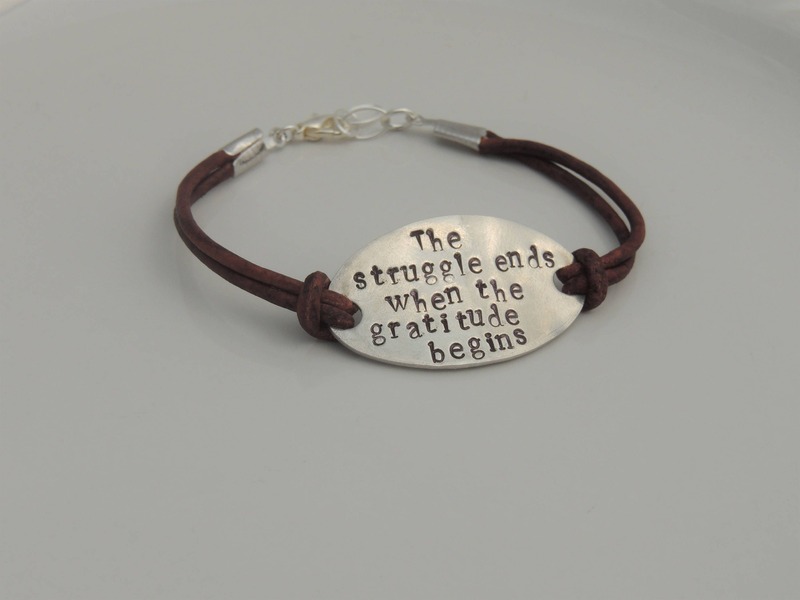 This beautiful leather bracelet features an oval pewter centerpiece hand stamped with "The struggle ends when the gratitude begins" or your choice of saying. 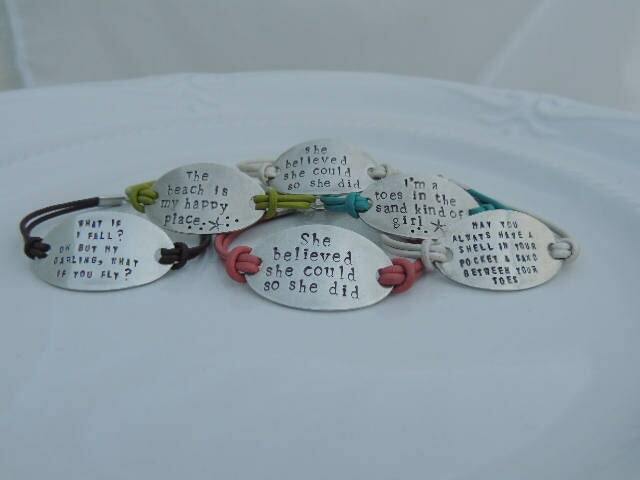 Choose from the sayings below or have your own CUSTOM saying stamped. 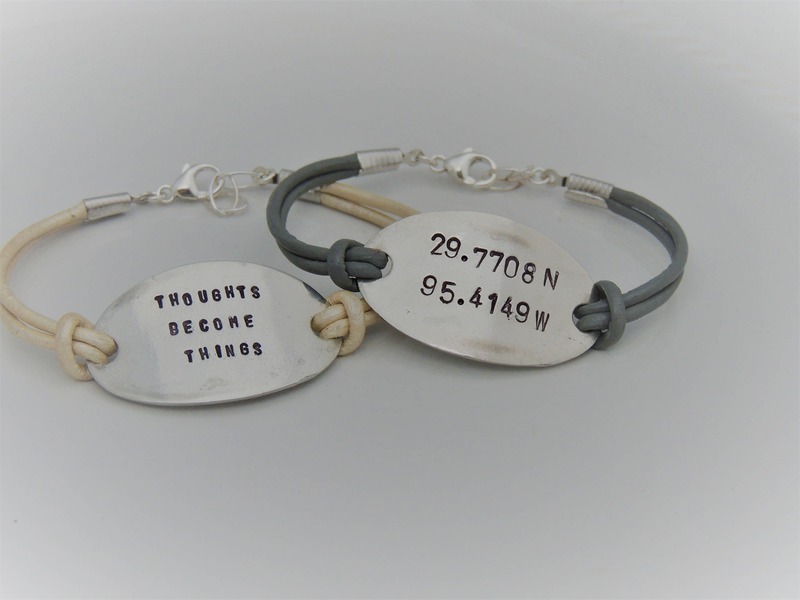 The pewter is very sturdy, yet you also are able to bend it to fit nicely on your wrist. 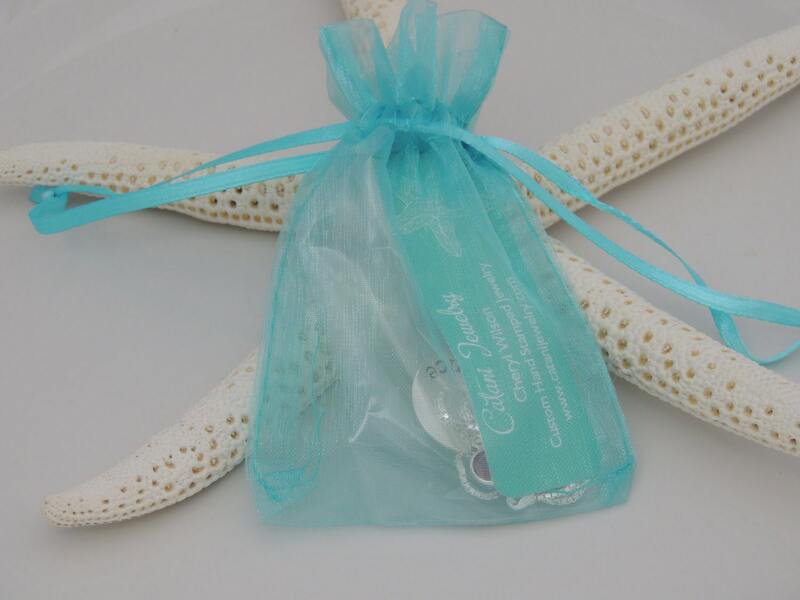 The pewter pendant measures 1-1/2" x 7/8". Choose from a variety of leather colors including pearl white, pearl grey, grey, black, brown, blue, pink and lime green. 1. Choose your size and leather color from the first drop down menu at checkout. 2. Choose your saying from the second drop down. Choose from the sayings below or choose the CUSTOM option. CUSTOM max characters are 30 characters (typewriter font) and 56 characters (tiny block font). ❤ What if I fall? Oh but my darling, what if you fly?